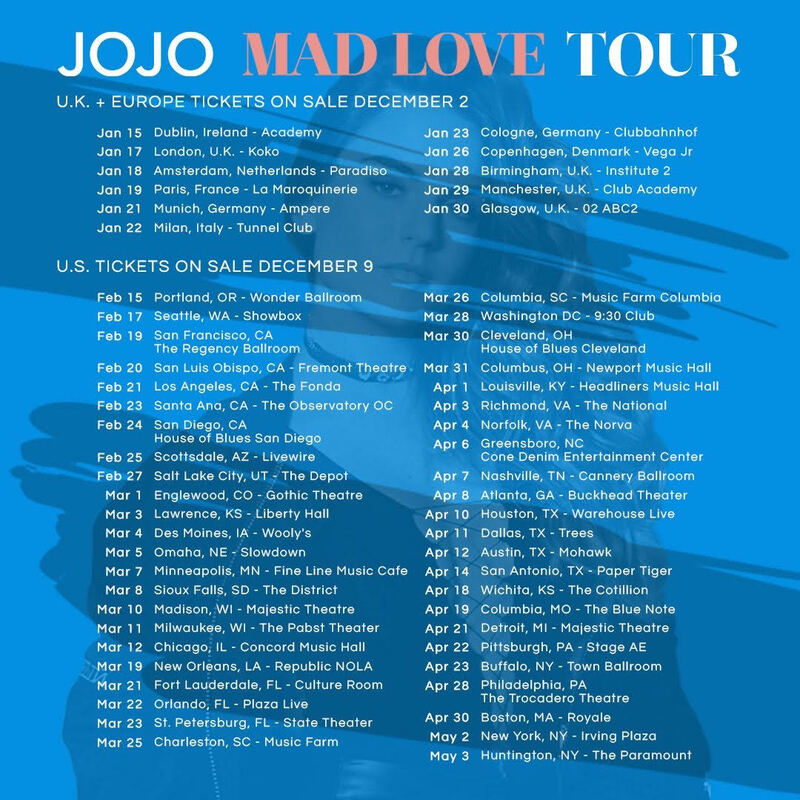 JoJo set to embark on her first headlining tour in years. In support of her third studio album, MAD LOVE, The F*** Apologies singer has announced a 57 city tour that will see dates in the United States, United Kingdom and Europe. The MAD LOVE Tour kicks off in Dublin, Ireland on January 15th. The tour rolls into Chicago on March 12th at the Concord Music Hall. Tickets for the European dates are on sale this Friday December 2nd. Tickets for all U.S. shows go on sale Friday December 9th.